The Hollies :: View topic - Hollies in advertisement for Hair spray 1966. The Hollies Forum Index » My Back Pages » Hollies in advertisement for Hair spray 1966. 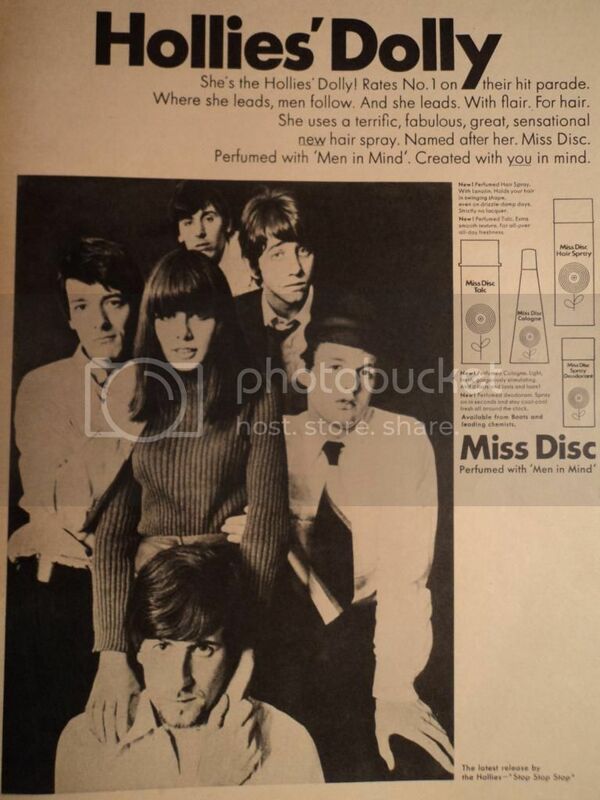 Post subject: Hollies in advertisement for Hair spray 1966. The Hollies in an advertisement for hair spray, from Fabulous 208, Dec 1966. It's unusual, isn't it? I haven't seen it before. And I wonder who the girl is. I bought the magazine on Swedish e-bay.